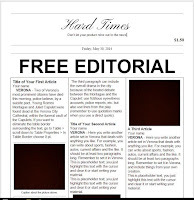 Editorial value: The results speak for themselves. You spend thousands getting a state of the art website with links to Twitter, Facebook and other social media. Sitting back, everyone tells you how great your website looks and comments on its design. Weeks drag on ... turning into months and your content dries out looking like a cheap supermarket paint job on a street cafe. What am I saying? Business owners, marketing managers and even webmasters neglect the most basic facet of any marketing campaign. It's what's inside that counts and not what's on top. Does your website, Facebook or Pinterest page have up to date, relevant content? It's probably the last thing you consider on a Friday afternoon and you switch off the office lights, lock the door and leave for home - cheerfully thinking that you will get to it in the next week. Let me help you with this. It's what I do. Honest, clean and accurate content. WHAT DO PROFESSIONAL PEOPLE SAY ABOUT ENERGY|MC ? "It has been a pleasure working with you – a true professional." Note these were commissioned articles and photography, not sponsored editorials. "Eco is flying high with the jet stream. Thanks for article sent and posted." "World class editorial - world class service"
Cecil is referring to the full agency, editorial and technical writing support service that his company enjoyed since it's inception in 2007. Partner • MD Accountants and Auditors Inc.
"Thank you for the tremendous corporate profile brochure. It really is outstanding and we are proud of the final product..... It has been a pleasure working with you". "Given the number of errant advertisements and my intimate involvement with construction H&S through contracting, consulting, research, publishing and community services, the (mentioned) advertisement is significant in that it probably contributes one of the few, if not only material advertisements that makes proper reference to the subject. It was certainly eye catching ...."
An advertisement written and designed for leading insulation provider, Brits Textiles received accolades in the construction sector. "Always a pleasure working with you - a true professional". "You've done great work for us". "Thank you for the great article". As the editor of a popular magazine on building, I receive dozens of press releases from the market. Many press releases do not stand a chance of being published in the media because the sender does not understand how news works. The problem is how little attention is given to the style of press releases and editorial. The same applies to the quality of photographs supplied. 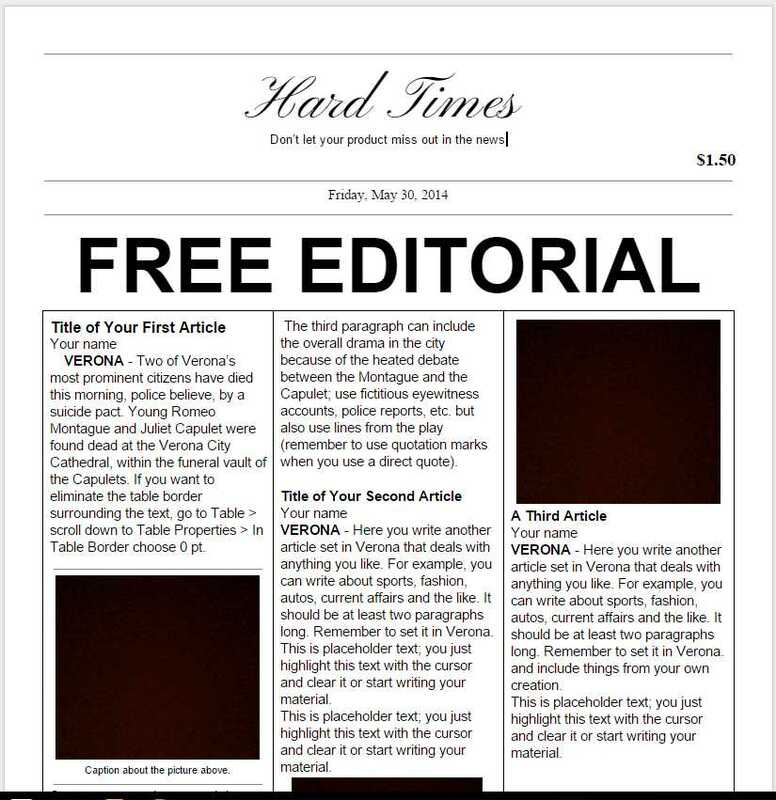 Your editorial stands a much better chance of being published if it is supplied with a good quality image. But with the era of DIY photography by smart phones and cheap cameras, press releases are often refused by editors due to bad photos. The fact is: as advertiser you spend tens of thousands of Rands on booking ad space in the media. Does your artwork do this advertising expense justice? Or are you wasting money? As an editor, I can see this is often the case. And often the same advertisers follow it up with poor editorial content that comes with photographs looking like they were taken by a 9 year old. Advertising spend wasted. Much the same rule applies to non advertisers. 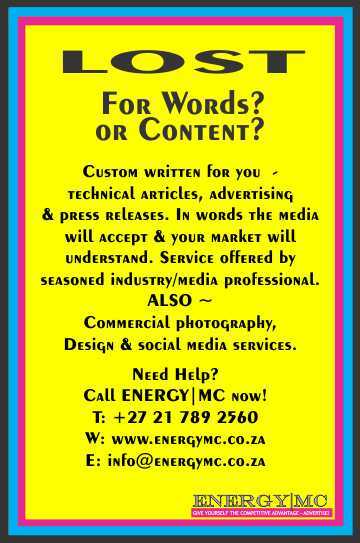 If you want your editorial published free in the magazines that serve your market or online, you really need to supply professional content. A well prepared editorial with photography could cost you R 5 000 to prepare and distribute. However if editors like what you send, that same editorial could be published 3 to 4 times over in the different media. This means payback by up to 1200% when compared with the cost of booking the page and placing your advert at a cost of R 15 000 for the full page (as an example). Best you hire a professional in the preparation of such editorials. The stakes are quite high and payback is huge - if you get it right. Clever companies stay in the game of promoting their business to clients even through tough economic times. They continue to use the media and do not abandon the hard earned brand identity they have vested in their markets. They do not cancel marketing communications. But they do look at using their limited resources smarter. Advertising and other promotions such as PR important in building your brand and increasing your presence in the market. Brands are not built overnight, but rather along the lines of a consistent long term campaign. 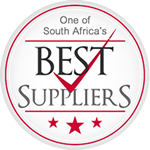 Of course, this needs to be supported by your service and performance as supplier, consultant or professional. 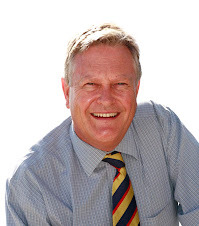 Read about I had to say on the subject in the September 2015 edition of SA Roofing magazine, a magazine that aims at architects and other building professionals. View pages 1 and 2 of this article here and here. More than 50% of commercial and industrial clients still use print media publications as their informative source of reference. Of these readers, a large majority are in senior decision making positions - not having the time to learn and adapt to the messages of the social media on the web. Readers such these are looking for well written, informative content, supported by logical arguments. Electronic content is not always the ideal medium for this, especially with the evolution of smartphone platforms. How would you choose to address your serious technical message to someone reading the Twitter feed on their smartphone while on the airport bus? Is unambiguous and easily actionable. Looking through some marketplace ads, it is often hard to see the point. Certain of these ads are prepared in graphics studios that know little about the end user and nothing about the technology. They are pleasant eye candy, that's all. As a technical writer, photographer and professional content provider I have noticed many companies put serious well written content at the bottom of the pile in preparing their corporate and marketing communications. They seem to fall into the well worn trap of underestimating their audience. They need to bear in mind that readers expect a magazine to deliver content that provides relevance and solutions to problems. How is this best done? Many publications, both online and in print offer opportunities for enhanced messaging via their editorial pages. Editorial is the news line of the magazine and readers expect useful information with relevance to their line of business. Editorial cannot simply be advertising that has been washed clean of slogans and logos. It needs to describe the importance of the subject generically to the interested person and then demonstrate impartially why your solution as a product, project manager, consultant or service provider met the needs of the client. This means plain but accurate English backed with decent photography, not simply a few images taken haphazardly with the smartphone. 1. Appoint a low budget design company with a big mouth as your brand champion. There is no better way to set about destroying the value you have built into your brand over many years. 2. Start insisting that advertising must convert into immediate sales and cease advertising and other programmes that build long term brand equity. 3. Start over-writing clean uncluttered imagery with in-your-face, cheap-looking brand image elements and text headlines. 4. Stop talking to your market as sensible professionals and start talking price only. If you practice any or all of the above, you are actively participating in the demise of your brand and also destroying the market. Of the first, your competitors will be pleased. Of the second, they will be annoyed but for only as long as you exist in the market.